When I first heard the news that NorthStar Financial was acquiring FTJ FundChoice (“FTJ”) and merging it with their subsidiary, Orion Advisor Services, I thought it was a terrific move. Orion had been slowly moving up the value chain and pitching to larger clients, like broker-dealers and banks, but losing them to market leader Envestnet. The addition of FTJ will open up a host of new combined product offerings that can be provided with a single contract, single service agreement and single price. The combined firm will support close to $700 billion in platform assets and over 2.5 million investor accounts, which translates to an average account size of around $280,000. But the important part is that Orion now has a TAMP business that could level the playing field when competing with Envestnet. Envestnet still has the biggest lineup of third party money manager investment strategies through their ecosystem, which is an advantage for bigger firms pitching to wirehouse advisors and teams. With a huge product shelf, there is a high probability they will cover every strategy in a book being transferred, which makes for a smoother transition. This avoids the advisor having to make a call to the client to explain why they have to switch managers. Placemark Investments used to have the second largest manager universe until they were swallowed up by Envestnet in 2014. Now Vestmark is number two with 300 managers and 1,000 strategies. FTJ’s manager lineup is not as extensive and could be called more of a curated offering. They take a different methodology to asset management with a mix of low cost Beta, tactical allocations and liquid alts, Cook described. Competitors such as Loring Ward have more of a strategic asset allocation focus, implemented with passive investments from Dimension Fund Advisors (DFA), he said. DFA funds are also available from FTJ as well as 40 or so other strategies that can be put into a unified managed account (UMA). Strategists include Wilshire, Littman Gregory, and Main Management. However the most popular investments are Vanguard models that advisors use to capture cheap Beta, Cook noted. FTJ does not offer any proprietary strategies so they are not competing with their asset management partners like Envestnet does with PMC. One of the ways that the Enterprise program will differ from how Orion and FTJ cooperated in the past is the level of control available at the enterprise level, explained Dean Cook, president and CEO of FTJ. This is an advantage of FTJ having built their TAMP on top of Orion’s technology, so these processes will be seamless when working in tandem. Before the merger, all clients of FTJ operated inside their single Orion database, which limited their ability to provide firm-level customization and configurations, explained Clarke. But now, each Enterprise client (that’s with a big “E”) can have their own database inside the Orion system. 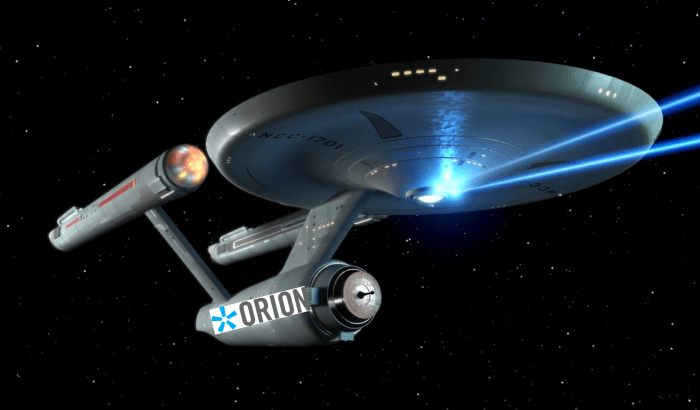 All third party managers that FTJ contracts with will be available through Orion Enterprise, Cook confirmed. Larger broker-dealers and RIAs can request additional managers, if specific ones they want are not on the platform. Another differentiator for Orion Enterprise (powered by FTJ) is their back-office / middle-office outsourcing, Cook insisted. Their Cincinnati-based operations staff of 100 can handle tasks including fee billing, portfolio accounting, reconciliation, redemptions, and cash management. I don’t agree that just offering these services is by itself a differentiator, since lots of other TAMPs and companies with TAMP-like offerings have similar outsourcing capabilities. (which was recently acquired by Orion client Carson Group) formed a strategic partnership that they named Catalyst. It was supposed to deliver custom built, white-labeled technology for TAMP’s. It seems as though this idea was made circumvented by the acquisitions. Comparisons can be made between Orion’s acquisition of FTJ and Vestmark’s acquisition of Adhesion Wealth. Both are TAMPs that were purchased by their technology vendors. Similar synergies can be found in both transactions with the acquiring firms both looking to build vertically-integrated platforms that can be one-stop shops from top to bottom of the wealth management value chain. 2018 has turned into a big year for TAMP deals. In September, TAMP Loring Ward was purchased by RIA aggregator Focus Financial through their subsidiary BAM Advisor Services. This could be an opportunity for Orion since BAM is a long-time client of theirs, while Loring Ward runs on Envestnet’s ENV 2 platform. I posed this question to Orion’s Clarke, who would only say that it was an opportunity that they would be exploring. It might be tough to switch them since Loring Ward has been an Envestnet client for many years and wen through a time-consuming upgrade process only last year. They may be loathe to make another software change so soon afterwards. Just because you provide a TAMP platform doesn’t mean advisors will show up and add assets, Cook warned. You also need a trained and motivated salesforce to educated advisors and bring them onboard. Broker-dealers can leverage the FTJ salesforce to help their advisors understand the TAMP platform similar to how asset managers deploy their wholesalers. Clients can take the services they want or they can build their own, Cook noted. Like many TAMPs, FTJ can run part or all of the back office for an RIA or broker-dealer. The difference now is that Orion can start pitching this to their existing clients and it would be a smoother transition since everything will still be running on their platform. No changes to reporting, client portal, billing, etc. Outsourcers have always pitched their services as providing tremendous flexibility to firms since they give up the headaches of training, managing operational issues, and employee turnover while gaining access to the best practices of the provider. This can benefit firms both small and large. Small ones that only have a couple of operations staff would no longer have to worry about a crisis if someone gets sick. Big ones can take advantage of better scalability as they grow. One thing that I’ve learned from being a technology and strategy consultant for the past twenty years is that no matter how many players there are in any market, there always seems to be room for one more. This thought was emphasized during my discussions with Orion executives. According to Bill Wostoupal, Orion’s EVP of National Sales, the go to market strategy for Orion Enterprise will be top down targeting IBDs and the wealth management division of retail banks — both segments where Envestnet dominates. They believe the market needs another option and that their new white-labeled TAMP offering will enable them to pick off some of the smaller Envestnet clients. Leveraging FTJ’s strong advisor-facing support team, Orion should be able to tempt broker-dealers and advisory firms with training and hands-on assistance with proposals for large clients, Wostoupal asserted. They have had good success with these services for years, he stressed, and these value added options allow IBDs to free up staff time for recruiting and other support. The trend of wealth management technology vendors moving into the TAMP space is could not be any clearer after the explosion of acquisitions and product announcements this year. This is similar to the trend towards vertical integration in other industries, like entertainment, where cable companies shelled out major dollars to buy content providers so they could own the end-to-end delivery.